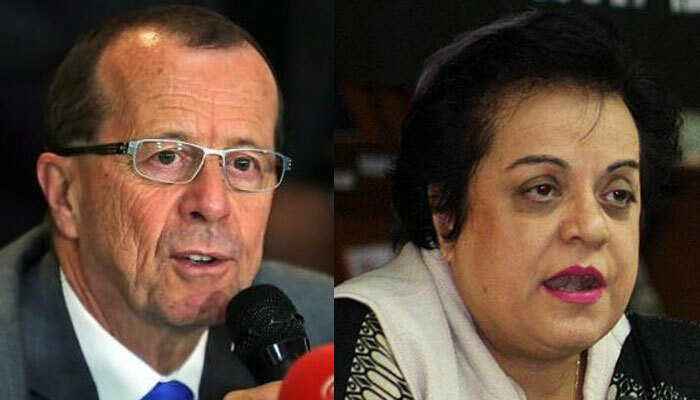 German Ambassador to Pakistan Martin Kobler expressed his disappointment on Friday with Shireen Mazari’s statement regarding the European Union’s (EU) approach towards refugees. The envoy retorted clarifying that Germany had taken in one million Syrian refugees in 2015 under directives by chancellor Angela Merkel. “disappointed by this statement: i think its not fair. chancellor merkel took courageous decision in 2015 to receive around 1 mio refugees in #germany who fled syria. #germany hosts today 1,4 mio refugees. last week german government accepted many refugees crossing mediterrean,” he tweeted.